I love a moka pot too. And I really do like Lavazza. Every once in a while it's seriously discounted at my local Kroger grocery so a buy it, have not been dissapointed yet. Currently working through a bag of Irving Farm, "House 71." Next up is some Highwire, "Conscientious Objector." Currently on the Trade Coffee (http://www.drinktrade.com) Hookup program, getting a random bag that matches my taste profile every week. 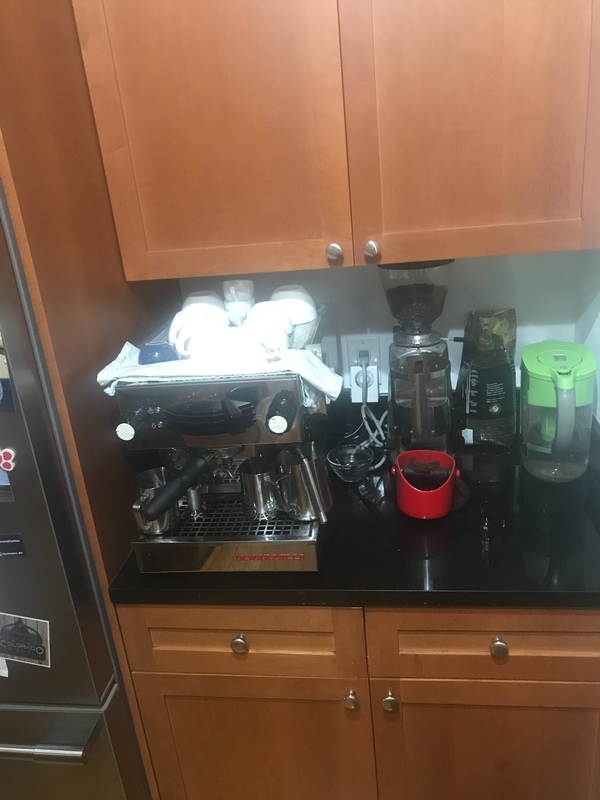 Was in the La Marzocco home program, but wasnt a fan of the customer service and lack of consistency. surprised you don't have a fancier grinder with that machine. I also have a Breville Smart Grinder Pro and use an Aeropress. Great cup of coffee, better than a lot of "pro" coffees I have drank in NY. However I want to step it up, xmas times I will be getting a new machine. Was going to get a Silvia but have done my research and will be getting a Crosslands CC1 now. I'll call you when I get my Boxer. Silvia + Mazzer Mini. 10 years so far. I about bought that a couple days ago. Neat idea and cool that you don't have to upside down the aeropress but doubt it produces better coffee. I have a couple of stove top pots that I use for brewing and they have served me well for years. I'd love one of the machines to go on the bench but I'm the only one who drinks coffee and I only drink long blacks so it would be overkill for my needs. And I'm a bit gutted because we were given a brand new Bialetti by some friends who left the country, but we have an induction cooktop so it's worse than useless for brewing on that. I've asked around to see if anyone else can make use of it but everyone seems to use the pods. Id say 75% of the drinks I make are Long Blacks. I still really appreciate having a good machine to pull a proper shot. The next best alternative to that would be an aeropress, for me anyway. I'm kinda envious. I have an old Nespresso at home, and there is a Franke FM850 at work. I get decent espresso but I'm sure it doesn't compare to what y'all can do.